Now that we have established opportunity, let’s answer the next two questions. How Do You Find the Right Foreclosure Opportunities? While there are other resources available on the market, however, we are fond of our Patent Pending Deal Board. Using OTA Real Estate’s Deal Board, you can pull data from thousands of counties in the US. 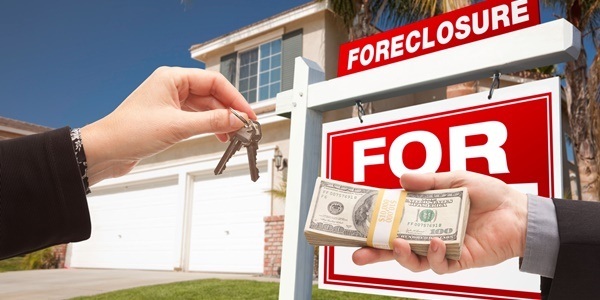 How Do You Protect Yourself When Acquiring Foreclosure Properties? In addition, do a property evaluation. Run comps (once again easily obtained in The Deal Board) and create a P & L (another OTA Real Estate tool, the Deal Tracker, is a great tool for this purpose). The more information and data you have about the foreclosure property, the more confident you’ll be with the deal. The bank accepts a purchase contract. The debtor files for bankruptcy protection. This process automatically suspends any collection efforts (including foreclosure) until relief is obtained by the lender of the automatic stay (the automatic stay directs creditors to cease their collection activities immediately). The debtor has made a good faith effort to cure the default and negotiated a forbearance agreement with the lender. Error or omission has occurred somewhere in the foreclosure process. Lender has sold the note and/or mortgage. The debtor requests a loan modification and under HAMP the participating servicer is obliged to evaluate the request. The key is having the right tools and knowledge to give you confidence in the deal.